In 2008, Trevor Paglen picked up the phone and started calling around to see if he could drum up support for his latest idea. The Berlin-based artist wanted to put into low-Earth orbit a big, shiny object that from the ground below would look like a star moving slowly across the night sky. It would be a work that interprets aerospace engineering as an art form, he said, a satellite without military, commercial or scientific value. Now, 10 years later, Paglen is about to realize that dream. 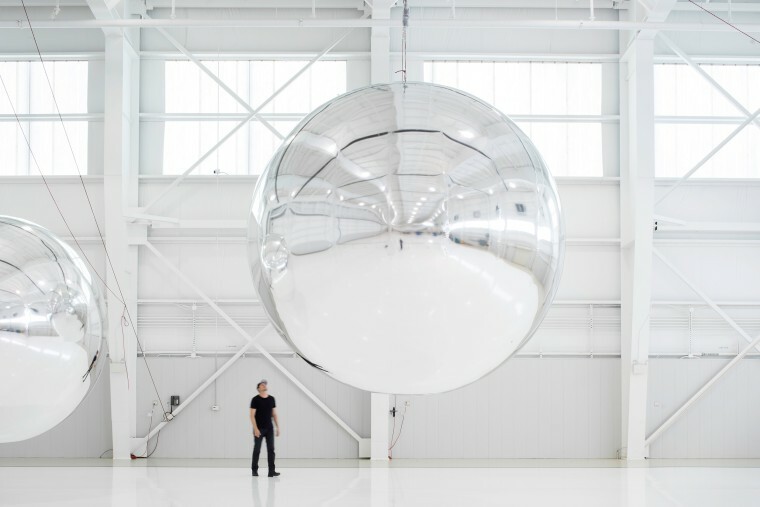 In mid-November, a brick-sized cubesat containing his “neo-minimalist sculpture” — an arrow-shaped polyethylene balloon coated with highly reflective titanium dioxide — will go into space aboard a SpaceX Falcon 9 rocket launched from Vandenberg Air Force Base in California. Once the cubesat is in a stable orbit about 360 miles above Earth, the balloon — dubbed Orbital Reflector — will be released; a carbon dioxide cartridge will inflate it to its full 100-foot-long size, or about the dimensions of two school buses parked end to end. Orbital Reflector is designed to remain in its orbital perch for three months. Eventually, Earth’s gravity will tug its orbit so low that it hits the atmosphere and burns up harmlessly. Though the idea for Orbital Reflector was his alone, Paglen had some help along the way. The balloon was made by Global Western, a Colorado-based aerospace firm, and the Nevada Museum of Art helped provide funding for the $1.3-million project. The museum’s Kickstarter campaign raised more than $76,000 last year, with the rest of the money coming from various sponsors, according to museum spokesperson Amanda Horn. The museum plans to create a website that people can use to track Orbital Reflector so they’ll know where and when to look for it. Paglen said he will travel to museums around the world to host “star parties,” adding that Orbital Reflector will reflect not just light but humanity’s penchant for gazing at the heavens.